With the availability of mobile devices like the iPad and small hand-held tablets, most online courses are amazingly easy to complete. Typically, courses consist of easy-to-read learning material and a range of easy-to-follow questions. Online courses deliver to you the know-how as well as offering unrivaled flexibility to learn at your on pace and no matter where you are, you can complete this training. Why you should do an online course right now! Opens up new opportunities for career advancement that could influence the rest of your life. You can earn a higher salary (awesome!) and enjoy the benefits of increased income. You can work at your own pace (just an hour a day whilst you are working your current job is no too demanding). You don’t have to attend a classroom to complete your course, you can study whenever you need to. You can complete your online course using a laptop, desktop or tablet device using a Mac or PC. You can conveniently learn on any hand-held device that has an internet connection (iPOD, iPAD, tablet, Galaxy S or HTC smartphone). 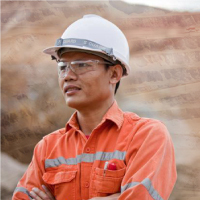 Your current industry experience and mining safety and procedural knowledge will help you immensely. Some courses offer the ability to download the course material so you can print it out and work when not connected to the internet. Post training job support is available during and after completion of your course to help you further increase your career opportunities. What online courses can you do? 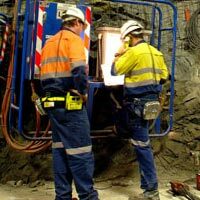 The Mining Supervisors G1, G8, G9 (often known as S1, S2, S3) course will help you get a better job in the industry. 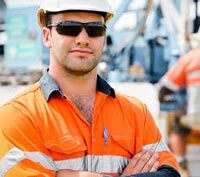 The course is very thorough and will give you the knowledge and skills to be able to become a leader or WHS Officer in the resources sector. The core focus is to educate you in areas of risk management, WHS policies and procedures, investigation and reporting, communication and documentation. This unit covers the application, processes and tasks associated with conducting inspections with a view to identifying, analysing and assessing risks. You will also learn how to administer the recommend treatment, contribute to implementation of treatments and to monitor risk in the workplace. The G1 RIIRIS301D also involves the practice of participation in the preparation, testing and documentation of safe working instructions. The RIIRIS402A - Carry Out Risk Management Processes (G2) course, covers the skills and knowledge required to qualify you to carry out risk management processes in the coal and metalliferous mining industries. This is the perfect qualification to consolidate your current qualifications in the area of risk management, or to develop your mining career at management level.